New Meditation CD’s – Time to Get Your Zen On! After many months of hard work, and years of experience, it is with the utmost delight I announce the release of my Meditation CD’s; Multi-Dimensional Meditation and Healing the Inner Child. My intention in creating these CD’s is to help you evolve your meditation practice, provide personal healing, growth, and guide you to attain higher levels of conscious awareness. 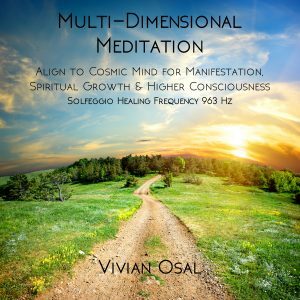 The Multi-Dimensional Meditation has been part of my personal practice for several years, and I have also taught it to a large number of clients who have given excellent feedback. Many have reported an awareness and activation of their energetic light body, increased psychic abilities and a greater sense of connection and oneness. The intention for this meditation is for you to Align to Cosmic Mind for Manifestation, Spiritual Growth and Higher Consciousness. You will move through layers of reality, and come to understand the multidimensional aspects of your being. This meditation is for both the novice and advanced spiritual seeker. For over a decade, one of my specialties in my private practice is regressing clients to do inner child healing work. I have found it to be one of the most powerful and transformative methods to help understand, heal and bring peace. I use this technique to shed light to the deeper shadows within, that would otherwise remain hidden and continue to interfere negatively in our adult life. Healing the inner child and examining the past isn’t always easy, it can sometimes be a challenging experience. However, our “shadow” gives us the opportunity to illuminate the Light and integrated lasting wisdom and healing. You will be guided to care for the child within, give the younger you understanding, acceptance, and healing. By integrating your inner child, you will heal old wounds and experience positive changes in beliefs and behaviors in your present life. Both CD’s are infused with carefully selected Solfeggio Healing Frequencies. 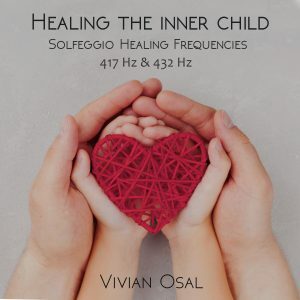 These healing frequencies impart spiritual blessings and are considered powerful and distinctive tones that can help you find profound healing, energy balance, improve health and wellness. The CDs are available for purchase online by clicking here. It is my hope you thoroughly enjoy using either or both CDs just as much as I have enjoyed creating them for you.